will.i.am is set to unveil a new way of being. On October 15, entrepreneur and founder of i.am+™ will.i.am will debut a product living at the intersection of fashion, science, technology and pop culture. will.i.am will take the stage at salesforce.com’s Dreamforce 2014 to introduce Fashionology into the wearables conversation. Complimentary registration and seating to attend is now open online at www.dreamforce.com. Admission is open to guests 18 years and older. 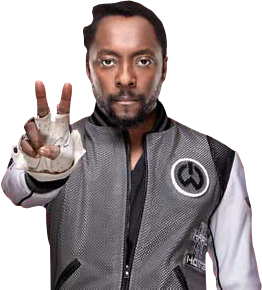 will.i.am will welcome surprise guests that will join in on the reveal of a future-leaning wearable designed to elevate personal technology to a whole new level. The i.am+™ team has been busy creating this bold new device that allows for a sixth sense mentality and represents a new way of being connected. This showcase performance will take place on October 15 from 5 – 6 p.m. PT in the Dreamforce Keynote Room at the Moscone Center in San Francisco. Doors open at 4 p.m. seating is first-come, first-served and capacity is limited.